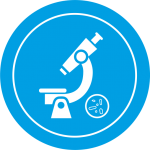 proFIRE® is a unique system for protein-DNA conjugate preparation, delivering consistent and superior conjugate quality for your experiments. 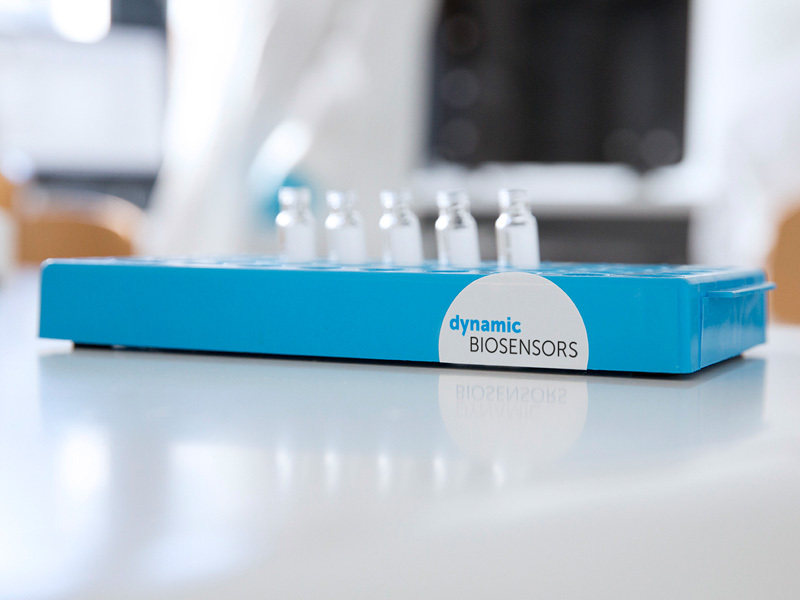 Join us for this recorded webinar presentation to learn more about dynamicBIOSENSORS’ pioneering switchSENSE® sensor platform: an automated, fluorescence based biosensor chip technology that employs electrically actuated DNA nanolevers for biophysical and interaction analysis measurements! 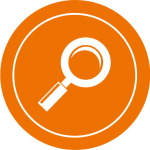 This presentation covers the different measurement modes of our novel switchSENSE® technology, as well as its applications in biophysical analysis. In their latest paper, researchers at the ETH Zürich immobilized increasing consecutive numbers of an RNA tandem motifs on a switchSENSE® chip, which could be recognized by the RNA-binding protein RBFOX1/2 RRM. They found that with increasing number of binding motifs the affinity of RBFOX1/2 RRM increased significantly. This was attributed to a cooperative effect due to multiple protein molecules attaching to the DNA when more than one binding site was available. 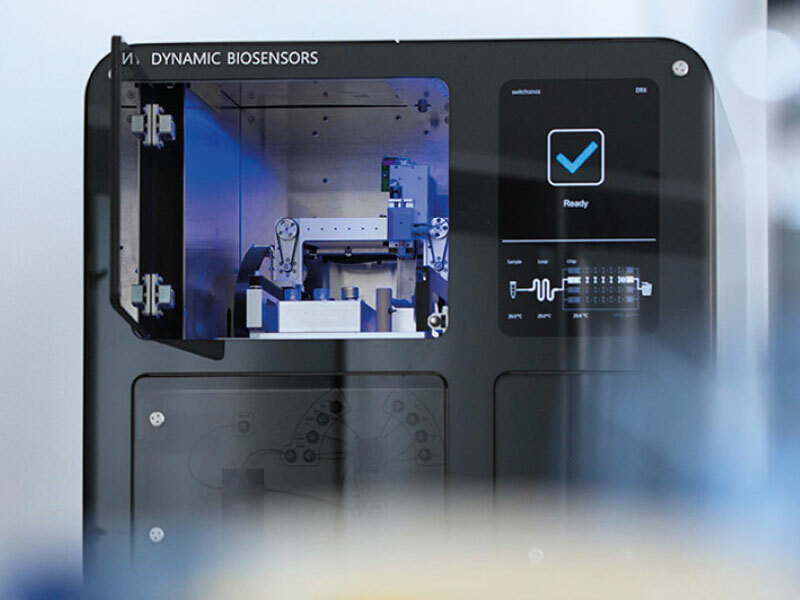 In line with this, they could show by using the sizing function of the switchSENSE® technology that with increasing number of binding sites the relative size of the bound protein species increased, confirming the binding of multiple protein monomers. 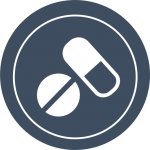 In a paper by Sieber and co-workers from the Technical University of Munich, switchSENSE® was used to study the interaction between the ClpPX protease subunits ClpX and ClpP, shedding light on the working mechanism of novel peptidic inhibitors. Measurements of nanolever dynamics allowed, for the first time, the direct determination of the KD-value of the ClpX and ClpP interaction (KD = 19.5 μM). Covalent binding of inhibitors strengthens the ClpP-ClpX interaction (KD = 3.9 μM), while inhibiting proteolysis and impairing chaperone activity. 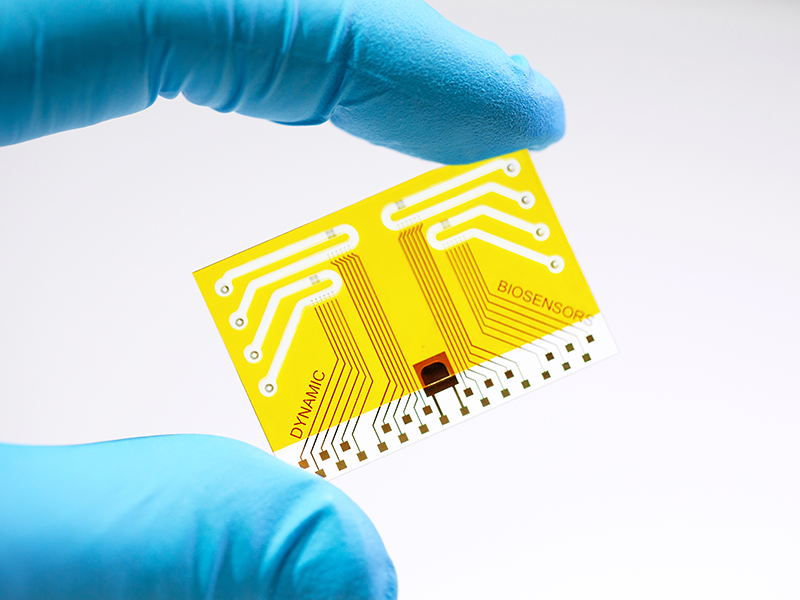 switchSENSE® experiments are performed on reusable multi-electrode, multi-channels biochips. Fully automated switchSENSE® instruments are 96-well plates compatible and manufactured in Germany. Including coupling kits, starter packs, training & OQ kits, as well as buffers, solutions and other consumables.